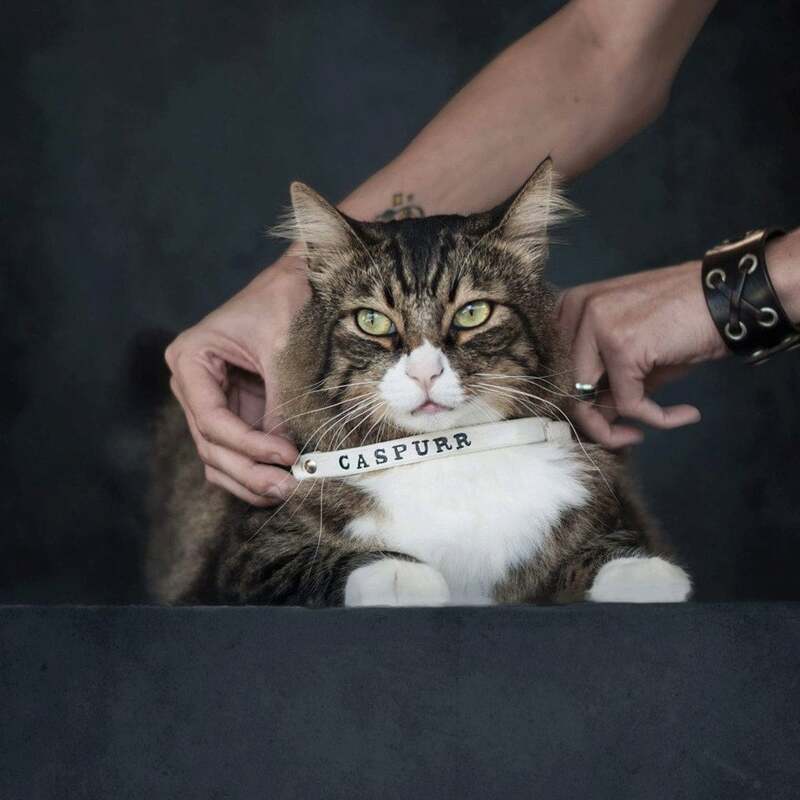 This listing for is a handmade custom leather cat collar. *Collars now feature an elastic band to help your cat escape if their collar gets caught. 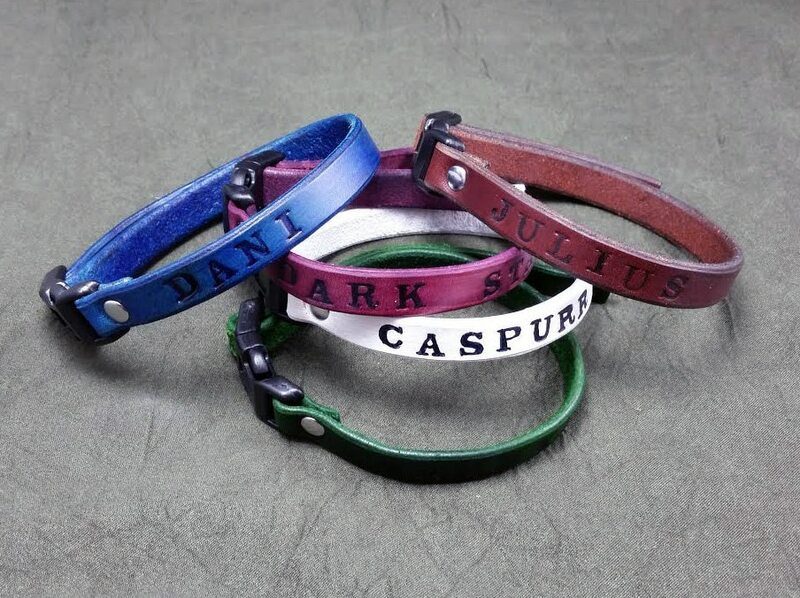 Each collar is handmade out of vegetable tanned cowhide, and can be dyed in a number of different colors. Each collar is secured via a curved squeeze buckle, and is adjustable to fit up to a 12" neck. Your pets name, phone number, or whatever else you would like can be stamped onto the collar, just let me know what you would like it to say. No extra charge for custom colors for these, as they're small and simple enough to not require it. Many more custom options are available, feel free to message me with any questions. Excellent communication, also added a bell at my request. Would definitely buy from again. Top product!